After seeing all of the wonderful doodles and zentangles, I just had to try one. I tried some actual zentangle patterns and some of my own ideas. I can see how it could be a meditative process. You get caught up in your designs and the repetitiveness. I kept wondering if I would run out of ink. I used a fine black Sharpie pen that is not supposed to bleed through paper and it didn't! It was fun to try something new. So many great and fun ideas have shown up during this month. Great job! Almost looks knitted! Great job on yours, it's like a quilt, or fields from an airplain view. 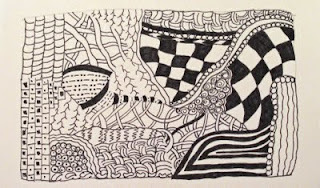 I love your zentangle. I really enjoy doing them - so relaxing. Susie, I can't remember if I've told you how much I like your blog! Your art has been wonderful this month. Thank you for sharing it and thank you for visiting my blog too. This is fantastic. I'm learning so much from all of you. 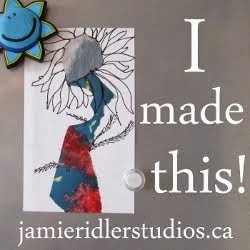 I love the zentangles. I love how AEDM is exposing us to new forms of art and providing a safe and welcoming space to experiment. 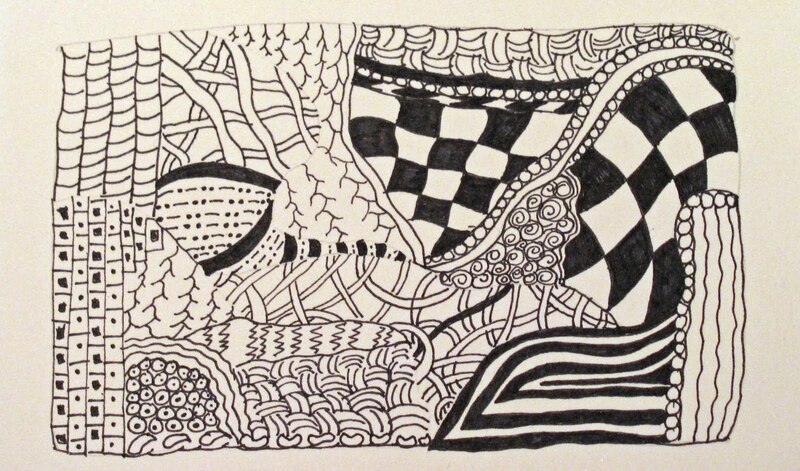 Your zentangle is awesome. I love the fine Sharpies too! great for you! this turned out so cool. I also love the getting inspiration from others. The zentangles look great, but I think the effect the twine gave is quite nice in its own way. I forgot to tell you that I'm really tempted to try this myself! Looks like it was fun and relaxing and it's pretty. I love it.